Mariana Aldrigui has both business and academic experience. Now on the faculty of the University of Sao Paulo, she began her career in the tourism industry in 1994, specializing in marketing and commercial relations including work for a travel agency specializing in cruises, a public organization and two hotel chains, Caesar Park Hotels and Blue Tree Hotels. In 2001 she was invited to develop her academic career as an assistant professor at Centro Universitário Ibero Americano, in São Paulo. From 2001 to 2005 she was a faculty member of SENAC São Paulo, PUC Minas (Catholic University of Minas Gerais) and visiting professor at Centro de Excelência em Turismo at University of Brasília (UnB). 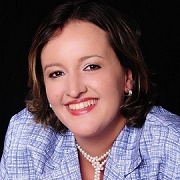 Currently she is lecturer and researcher at the University of São Paulo, in the Leisure and Tourism graduate programs. She is a lecturer in Tourism Scenarios in Brazil , Global Tourism Trends and is also responsible for student internships, which brings her in constant contact with tourism companies. Her research projects focus on tourism politics and education, and she is author and co-author of two books and several scientific papers. She is a member of the Tourism, Knowledge and Innovation research group at the university. Her consulting projects include development of training programs for city tourism bureaus, such as the Sao Paulo Convention and Visitors Bureau, where they train public sector and private companies in customer service. Mariana received her Degree in Tourism at the University of Sao Paulo (USP), a Master in Communications Sciences (Tourism) also at USP, and her Doctoral Degree in Urban Geography at USP. She is a member of the Sao Paulo City Tourism Council and three other professional associations in the state.